An All-in-one iTunes audio converter which can work as Apple Music Converter, Audiobook Converter and M4P to MP3 Converter. Convert audio files at 10X faster speed with lossless quality kept. And keep ID3 Tags after conversion. Powerful Spotify Music Downloader and Converter which can help users download Spotify songs, podcasts, Radio in MP3, AAC, FLAC or WAV for offline use. 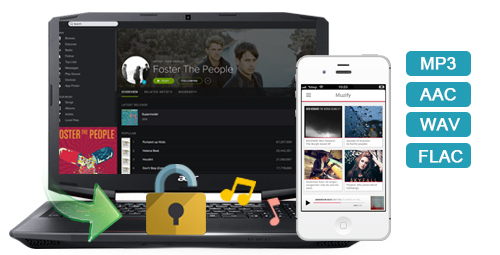 With this Spotify music converter, you are able to move Spotify music to any of your portable devices for offline using, whether you are Spotify paid users or free users. NoteBurner M4V Converter Plus for Windows Hot! NoteBurner iTunes DRM Audio Converter for Windows Hot! Spotify Music Converter for Windows New!